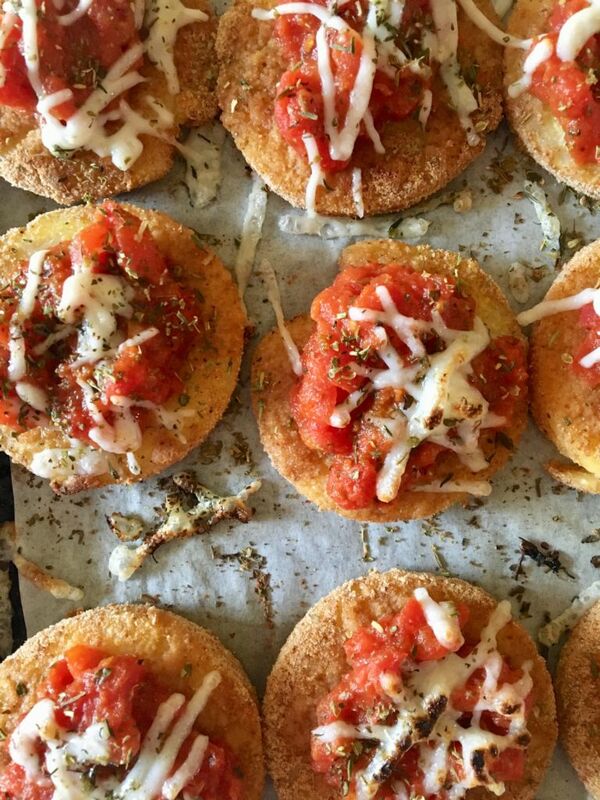 Let’s talk about these polenta pizza bites, shall we? When I say they’re easy to make, I mean it. And I’m speaking from major experience here. These polenta pizza bites are a recipe I’ve been making for at least 7 years now. In fact, they may be the very first vegan recipe I ever made. And at the time, I thought going vegan was something I could never do. Like, ever. Not to mention, 7 years ago I had very little idea how to work an oven, let alone attempt half the super homemade recipes we post on this blog. 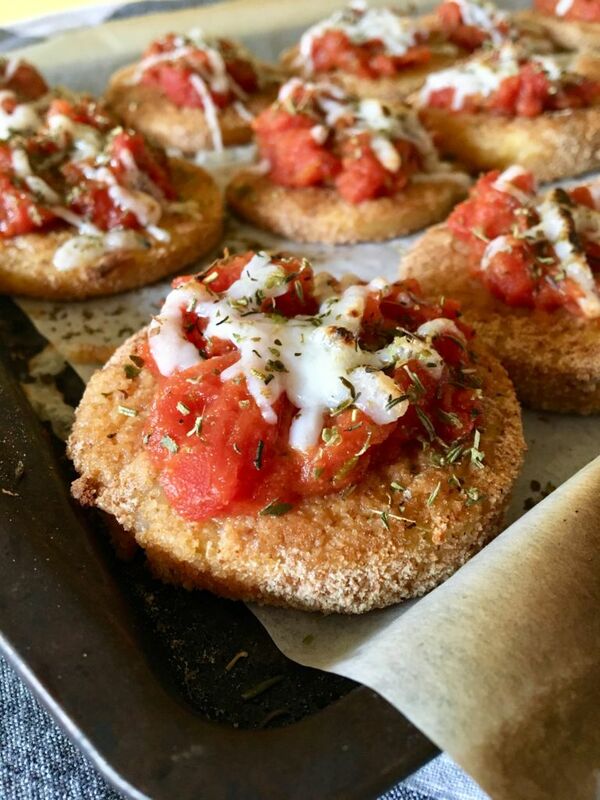 So, needless to say, this polenta pizza bites recipe is so easy, anyone can make it. If you’re just starting out in the kitchen or even as a vegan, I got you, my friend. 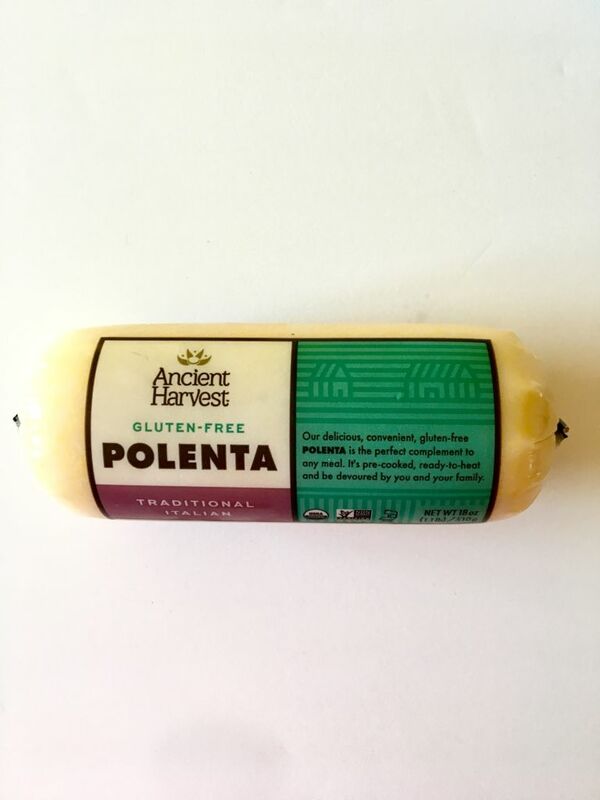 Let’s make these polenta pizza bites and build our confidence a little, shall we? The process starts with a tube of polenta. You can find this stuff at most grocery stores; it’s basically just cornmeal. Simply slice it into 1/2-inch thick rounds, toss ’em in some bread crumbs, and bake ’em until they’re crispy. Then, you top them with a spoonful of pizza sauce, some vegan mozzarella shreds (we love the new Daiya shreds, but if you wanna go the homemade route, we got you there too), and a sprinkle of Italian herbs. Broil for 90 seconds or until your cheese melts and voila! 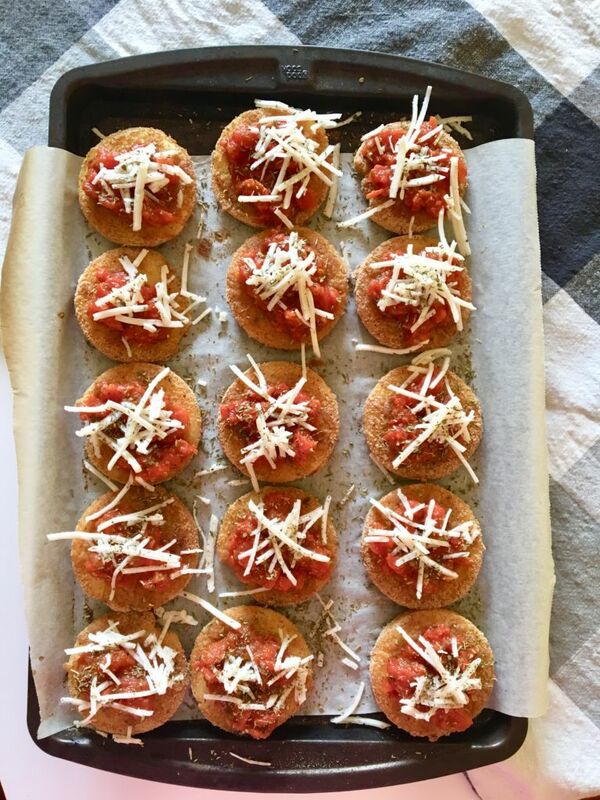 Your polenta pizza bites are ready to serve! 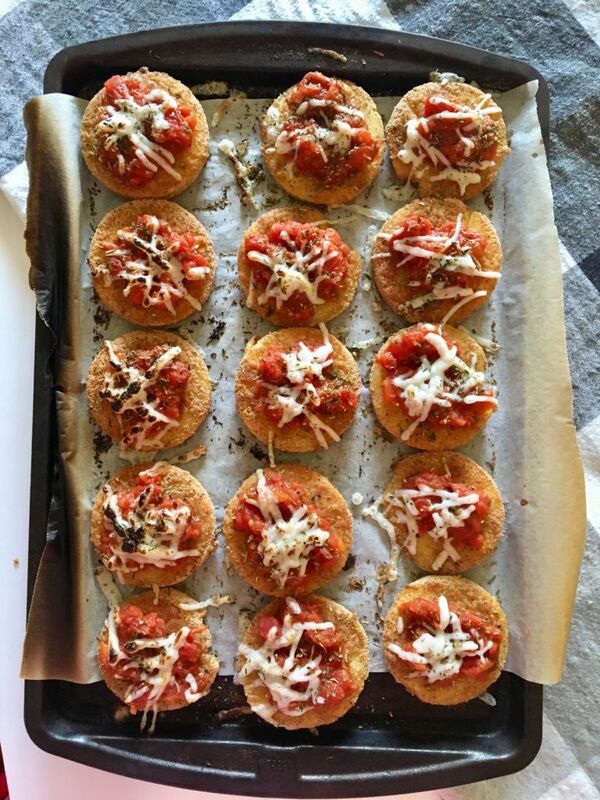 These polenta pizza bites were my go-to for potlucks and parties for years and whether it was an all-vegan potluck or a room full of omnivores, they always go fast! They’re also easily made gluten-free if you use gluten-free breadcrumbs which makes them extra awesome for feeding to a crowd with different dietary needs. Score!! 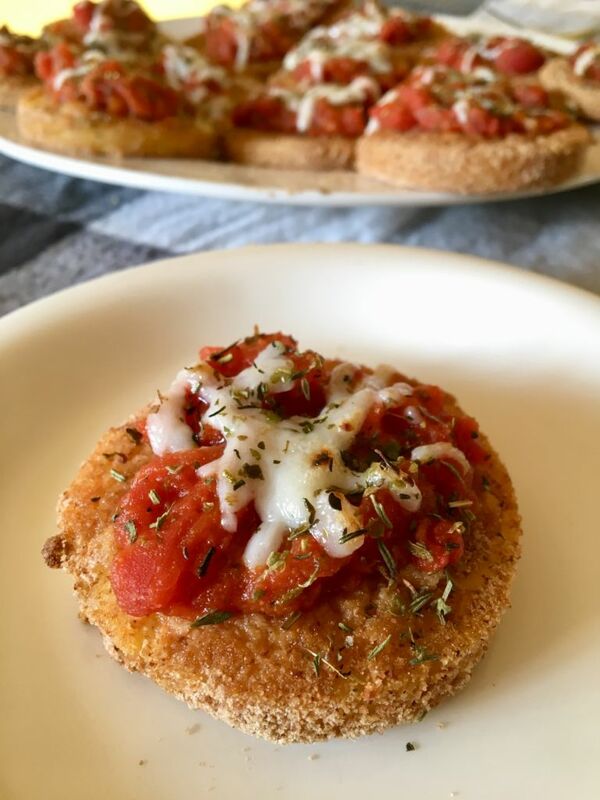 Give these polenta pizza bites a try for your next potluck or family gathering! And when you do, tag us in your photos on Instagram (we’re @theplantpowercouple, with the ‘the’) or Facebook (just Plant Power Couple there). Now go get that kitchen confidence, friends! You got this! 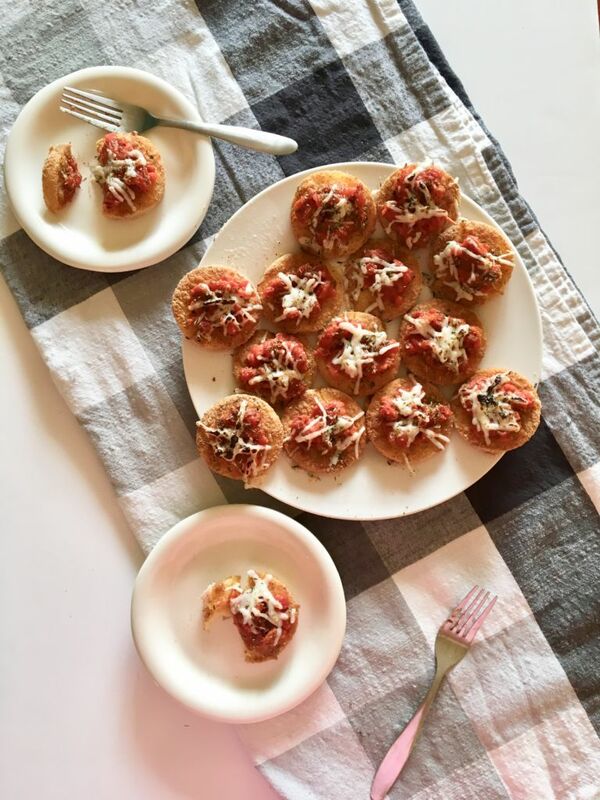 These Polenta Pizza Bites are a delicious and super easy recipe for all your potlucks and family gatherings. Vegan with a gluten-free option. Preheat oven to 425F and line a baking sheet with parchment paper. Pour the milk and bread crumbs into two separate shallow dishes (pie dishes work great). 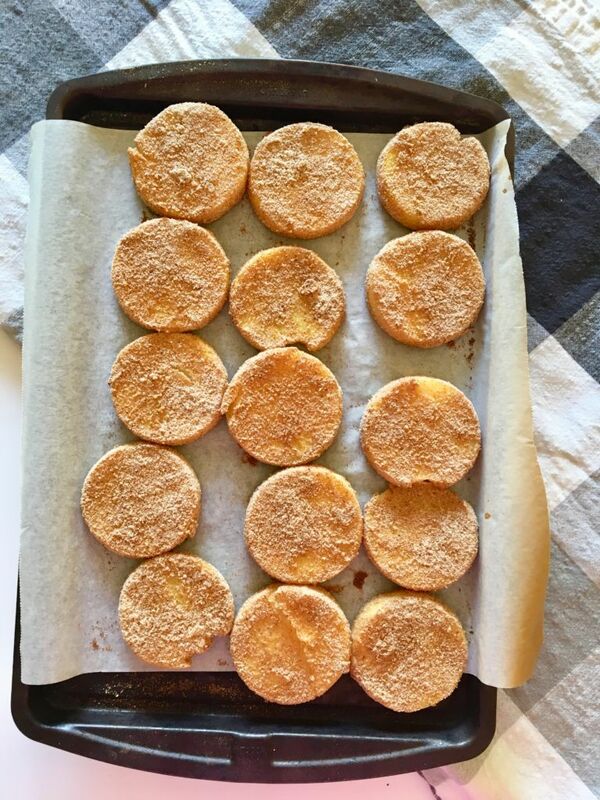 Dip each polenta circle into the milk, then the breadcrumbs - evenly coating them. Place each on the baking sheet and bake for 15 minutes or until bread crumbs are starting to get brown and crispy. Carefully flip each polenta circle and top each with a spoonful of sauce, then a sprinkle of vegan cheese. Top with a light sprinkle of dried parsley and oregano. Switch the oven to broil and broil the polenta rounds for another 1-2 minutes or until the cheese is melted. Allow to cool a bit. Then serve and enjoy! If you don't have bread crumbs (or can't find them), feel free to throw some stale, toasted bread in a food processor. This works great with gluten-free bread too. I love the idea of taking these to a family gathering! But they won’t be warm by the time I get there. Does it matter? People generally inhale them no matter what, but I usually ask the host / hostess if I can pop 'em in the oven for a bit before I put them out!